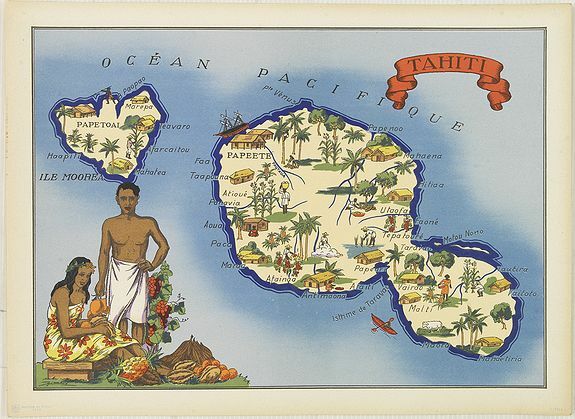 Description :Very decorative, informative map of Tahiti. The map is filled with buildings, animals, figures and two locals. With a large compass rose in upper right corner.